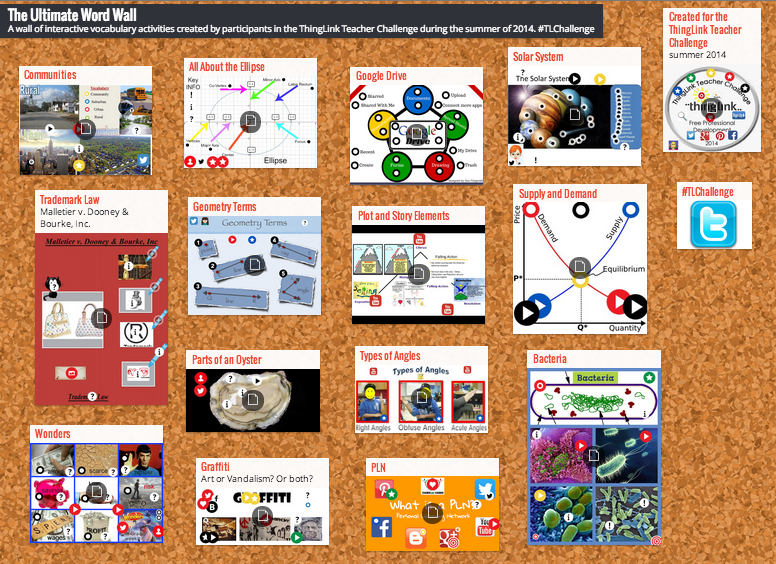 I have been having a lot of fun connecting with educators and expanding my PLN this summer as I facilitate the ThingLink Teacher Challenge. This challenge is a free, self-paced, online summer professional development opportunity designed to help teachers transform classroom teaching and e-learning with ThingLink, an easy-to-use interactive image and video platform. Teachers complete one activity each week and explore ways to use the tool in the classroom. The challenge this week is Design Your Digital Self. The goal is to use ThingLink to create an interactive avatar to serve as an introduction to other members of the challenge. The activity is well-suited for a variety of student-driven learning experiences in the classroom, and it provides educators with opportunities to remind students about Internet safety and protecting their identities when online. 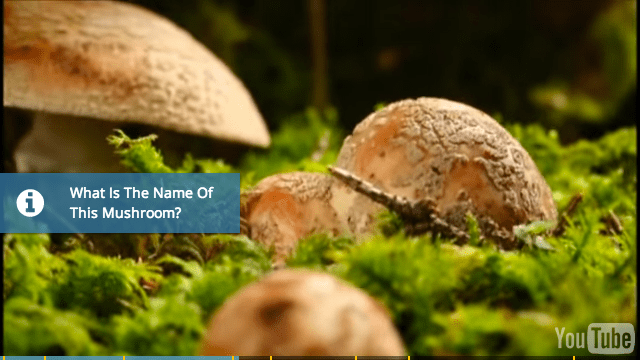 As a bonus, the challenge uses a guided lesson, or channel of interactive images, as a teaching tool which can also be used to facilitate classroom instruction. All the directions and resources are in one place. Images submitted for each challenge are displayed in a ThingLink Channel to showcase the great work educators are doing. As more participants submit images, the channels grow. 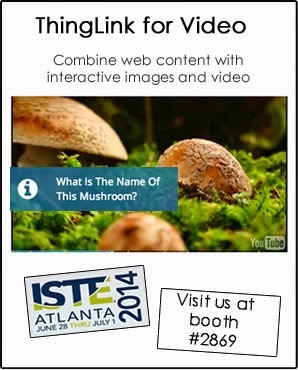 Meet the ThingLink Challenge Teachers. View our weekly Showcase of images. Since the challenge is self-paced, there is still plenty of time to sign up and join us. How would you like you like to improve your students’ writing skills along with their technology skills? 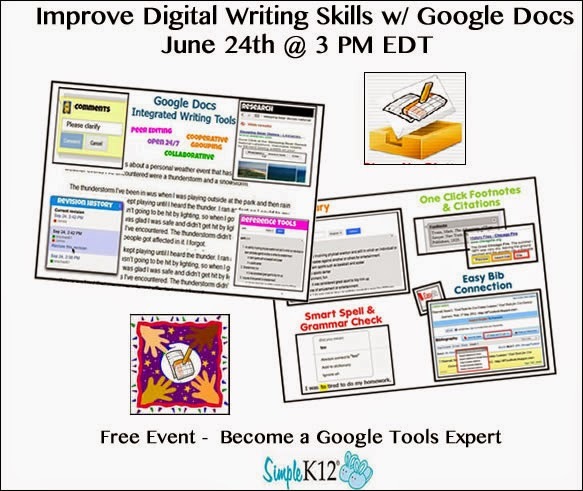 Join me and Simple K-12 for “Facilitate a Writing Workshop Using Google Docs”, a free webinar on on Wednesday, June 18th at 1:00 PM EDT. Learn how to utilize the many features available in Google Docs to maximize digital writing instruction in the 24/7 classroom. 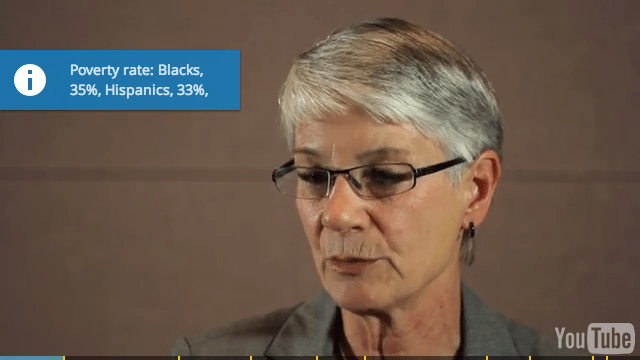 Did you miss this webinar? Check out Upcoming Webinars in the sidebar of this blog to find the next Google Docs writing webinar. 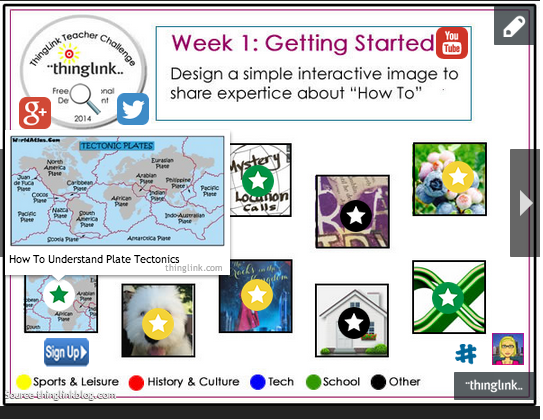 The ThingLink Teacher Challenge is a free, self-paced, online summer professional development opportunity designed to help teachers transform classroom teaching and e-learning with ThingLink, an easy-to-use interactive image and video platform. This challenge invites teachers to learn to use interactive images to redefine learning in the classroom. Learn how to connect audio, video, images, and text in one cohesive presentation during this self-paced professional development.